Belleville, St. Clair Co., Illinois 1867. Drawn by R. [sic] Ruger. 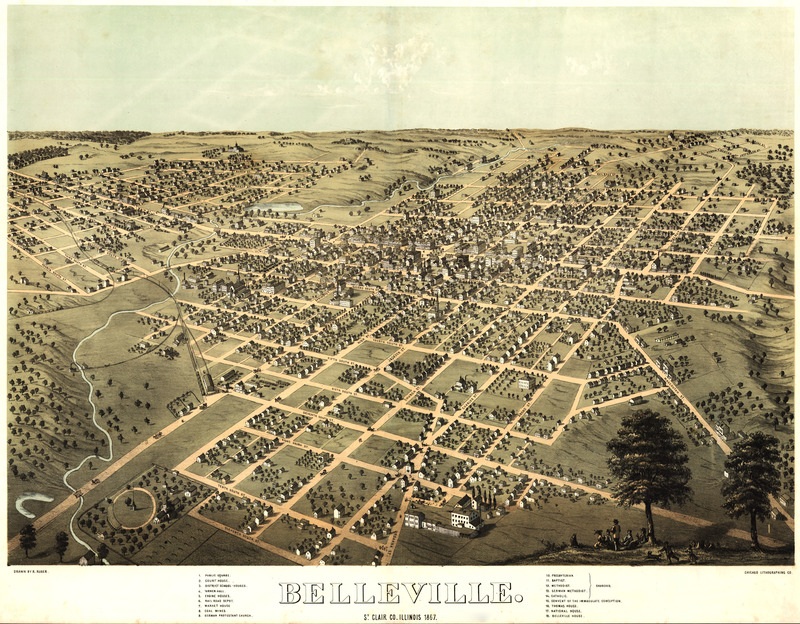 Albert Ruger's map of Belleville, Illinois [gmap] in 1867. Belleville is the hometown of, among others, Uncle Tupelo, Kevin Von Erich, and my good friends Barron and Hunter. 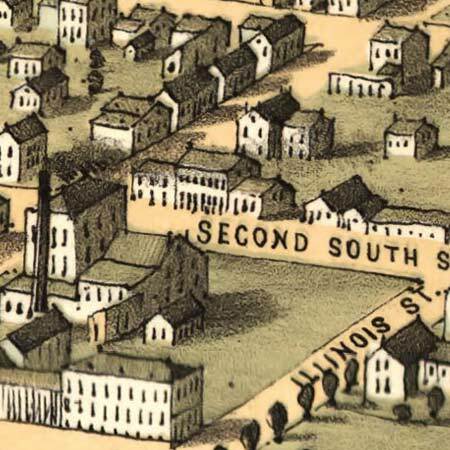 For more map resources and imagery from this period in Belleville's history, check out the Illinois State Historical Society's website.